The city of Timbuktu is an important part of Humanity's shared heritage. In its former glory, the city was a world center of knowledge, home of thousands of manuscripts that are now in danger of being lost forever. Timbuktu today is a very poor city, in a country torn by a civil war. Parts of its historic center, named by UNESCO as a World Heritage Site, are in danger of being destroyed either accidently during the war, or voluntary at the hands of fundamentalists groups who seek to erase any links to the past. Some ancient mausoleums have already been destroyed a few months ago. The Libraries in Exile project has been able to move more than 300,000 manuscripts to safer locations, but they need help cataloging and preserving this invaluable part of our shared history. Libraries in Exile is sponsored by T160k, and they have turned to crowdfunding to help raise funds, you can see the project's page at indiegogo.com. If you can, please consider donating to the project, every $30 raised saves a book. 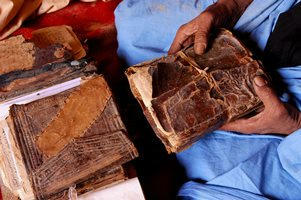 The manuscripts will stay in Mali, and you can be a part of preserving them. There are only 8 days left for the crowdfunding effort, so go there as soon as you can. 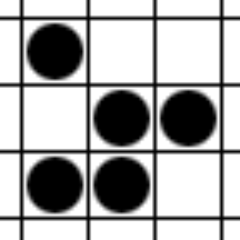 Screw obscurantism, go to indiegogo today !